There is a reason that assistant coach Matt Flesher has been training in the pool with the No. 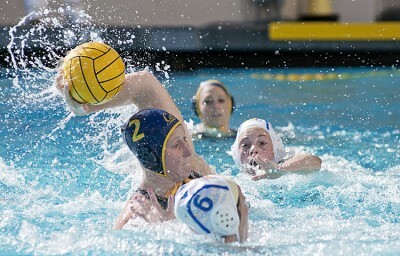 4 Cal women’s water polo team: the Bears need to fix their inconsistency through high-intensity play. And what better way to start than on Saturday against No. 8 UC Irvine at Spieker Aquatics Center. Flesher, a two-time all-American at UCLA with two national titles, has given the Bears (14-4, 2-0 in MPSF) a full dose of top-tier water polo. Flesher pushed his players at both ends of the pool and hopes that the team will press at every opportunity in the 1 p.m. matchup. The Anteaters have given the Bears plenty to think about in the past week following Cal’s disappointing fourth place overall finish at the UCI Invitational last weekend. Irvine, a member of the Big West, has its eyes set on a berth for the NCAA Championships a few weeks away. The Anteaters will use the Bay Area trip to test themselves against some of the country’s best teams prior to postseason play. Playing against Cal and No. 2 Stanford in back-to-back contests is a daunting challenge for the Anteaters, who are led by the sister tandem of senior Katie and sophomore Hannah Croghan. The Bears will counter with their leading scorer, junior Breda Vosters, who has fired in 29 goals this season and also scored four goals in four games at the UCI Invitational. The Bears’ offense will also receive contributions from sophomore Ashley Young. Young netted three goals in the UCI third-place match against No. 3 USC and six goals throughout the tournament, earning her national acclaim as a top young talent. Beyond Vosters and Young, Cal has lacked offensive power this year and has relied on its defense. Only Vosters cracks the top 25 in MPSF scoring while the squad as a whole ranks in many top MPSF defensive categories. However, USC and Stanford easily cut through the Cal defense at last weekend’s tournament, exposing many weaknesses of the squad, most notably its inconsistency. In the week preceding the Invite, Cal played a dominate defensive game against No. 12 San Jose State. Just a week later the Bears allowed six first-quarter goals to the Cardinal en route to a 13-5 defeat. The key to fixing the consistency for the Bears will be to maintain high intensity in every game leading up to the NCAA championships, starting with UCI.